The program takes engineers and key decision makers out for bicycle rides around different cities in the state to analyze bicycle facilities, or lack there of. These tours are conducted from a saddle instead of from behind a windshield, or computer screen. Not only do these key players ride around and see what works and what does not they also get training on bicycle infrastructure planning, and implementation. This includes a review of AASHTO’s Bike/Ped design guides. While there have been a few who have been reluctant to get back on the bike after too many years off of it, MDOT makes sure that everyone feels safe and gets a good education. We think this would be a great program for UDOT to adopt. It could be wrapped up in there very successful Road Respect Tour. At the very least we hope to see something of this nature coming to Provo in the near future. Either way we would suggest that not only AASHTO’s guide be used as education but also the more practical and useful NACTO guide. Looking forward to seeing orange vests and clipboards riding up and down the streets of Provo. 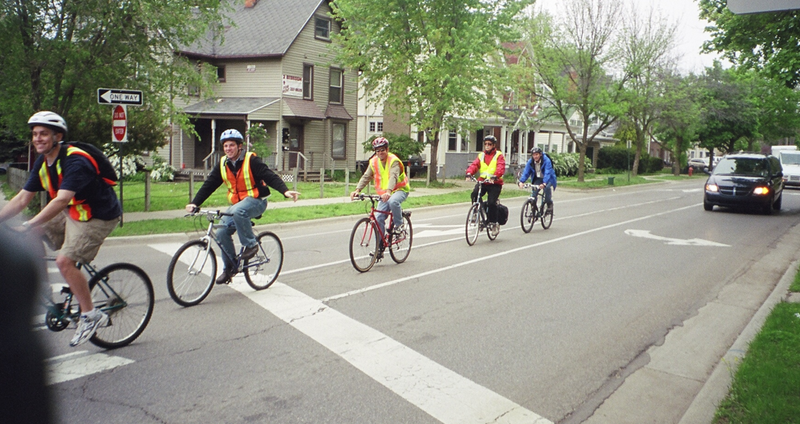 This entry was posted in Bike Advocacy, Bikes in the News, Complete Streets by Zac. Bookmark the permalink. this is an awesome idea. lets do it!